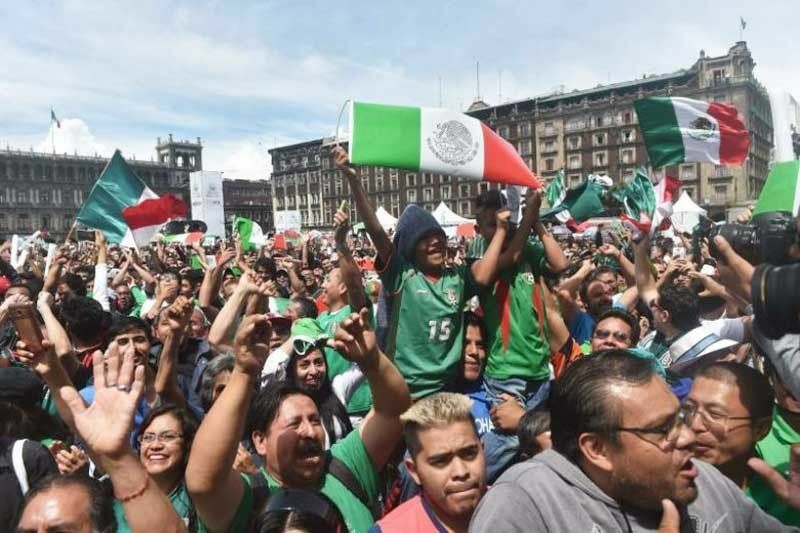 Mexican fans celebrate at the Zocalo square. MOSCOW – Germany didn’t play the way it usually plays. Coach Joachim Loew isn’t sure why. Stymied by Mexico’s skillful forwards and speedy counterattacks, the defending World Cup champions played a sloppy first half, gave up too many chances and ultimately conceded a goal that held up in Mexico’s 1-0 victory on Sunday. Germany’s path through Group F includes a match against Sweden next Saturday, and it then faces South Korea on June 27.